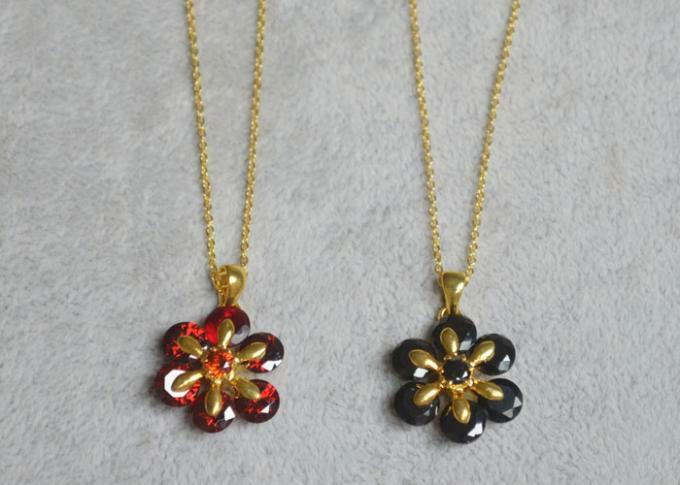 Main Stone: AAA Zircon, Crystal Zircon Color: Burgundy, Black, Etc. 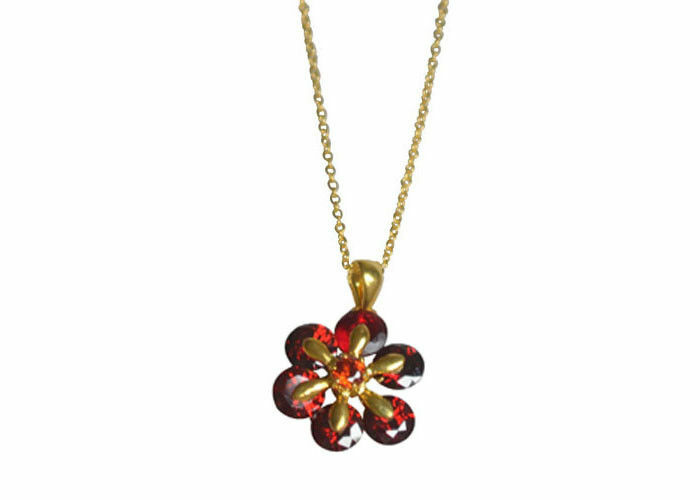 Necklace with pendant in the shape of 6-petal flower which is welcomed by girls. Main stone: AAA zircon in black, burgundy colors, etc.